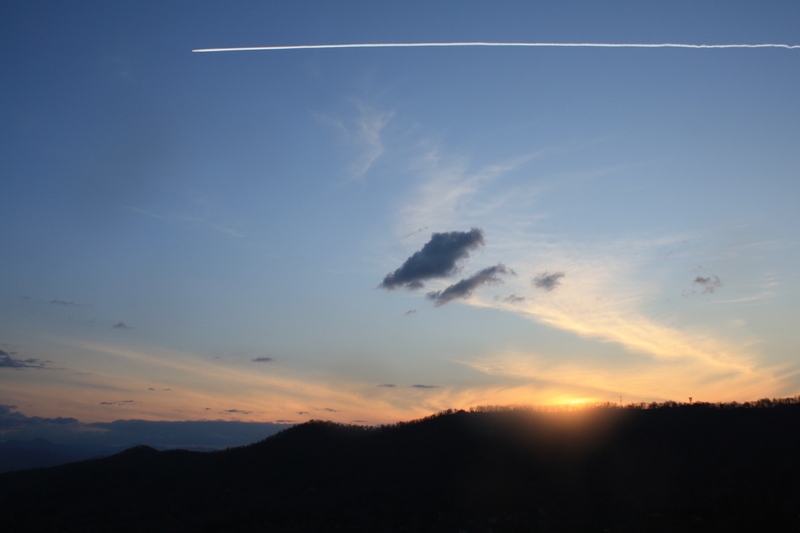 Photo Friday: Blue Ridge Sunset. As most of you know, I’m in the process of writing a book. However, I’ve been taking a break from my writing for a while. I feel like I need to catch my breath. It’s been a nice way to focus on the people in my life that I love, while also giving me time to reflect on myself as well as the beauty that’s around me. Recently though, my back has caused me a good bit of pain. There have been multiple times in the past few days that I’ve been walking and I’ve come to a complete stop due to the back spasms that come out of nowhere. It’s almost as if the breath is knocked out of me. Because of this recent back pain, though it has been extremely unpleasant, it has given me a jumping off point for some descriptions that I’ve been wanting to include in my book. Certain pain that not everyone has felt is really hard to explain. I don’t doubt that at some point everyone has had some sort of spasm, but it’s nothing like the intense spasms I had in my legs after surgeries though. But the thing is, I want people to be able to understand. I want people to be able to try to envision the degree of pain that I felt. It’s just such a hard thing to describe. Pain. We’ve all felt it. It can be dull pain, sharp pain or any one of the grey areas in between those extremes. But my spasms were neither dull nor sharp. They’re quick, fast, alarming. It’s like if you tried to keep your arm straight for as long as possible and then all of a sudden you bent it really fast. Multiply that by a really huge number, and you’ve got the spasms that I’ve felt in my legs. Even with that, I don’t know how to describe them in a way that relates to everyone. I just know what I felt. The unfortunate part about writing about all this pain is that it happened so long ago. And since it was a very painful time for me, I have no doubt that I blocked out some of the really small details of the degree of the pain. I wish I knew the exact words to describe the pain, but I just don’t. The words aren’t coming. All I remember during all those spasms are the screams that I let out. I screamed so loud. It was my release. Growing up, doctors and physical therapists told me that I had quite a voice for how loud and often that I screamed. I also have an incredibly strong grip in terms of my hands. I feel like the screams and the hand strength combined makes a lot of sense. When the spasms took over, I needed any sort of way to feel in control. Though I hardly ever did, I screamed out the pain. I held the pain in my hands as my knuckles would go white due to grabbing onto a mat or the arms of a wheelchair. Though my CP has made me into a much stronger person, the pain and fear that I faced was overwhelming. I’d never wish it on anyone, no matter how much I dislike them.